Sugar Stock Reduction, Can Brazil Supply The Global Market? EU sugar stocks are below the two month supply limit. With sugar stocks tightening and downward crop revisions for South Africa, China, India and Thailand as a result of the El Niño hit crops over the last six months the market is moving towards a large global deficit and rising prices. The New York raws market traded at 17c/lb last Thursday, the first time since October 2014. Despite these bearish predictions, the Brazilian harvest has commenced early as a result of ideal weather conditions since March, a large 2016 crop could prevent significant market prices rises by resolving the global deficit, although logistical problems remain and the political corruption scandal has strengthened the Brazilian Real. In the EU beet sugar producers are trying to keep stocks to a minimum before the end of the beet sugar quota system in October 2017. There is currently less than two months of stock. Since the last EU sugar reforms in 2005, the Commission has had to use temporary measures in 10/11, 11/12 and 12/13 to prevent a shortfall in the availability of sugar, as a result of low production across the African, Caribbean and Pacific states that benefit from duty free access. High global sugar prices compared to EU domestic prices has made exports to neighbouring markets more attractive than exporting to the EU. In 2016 the EU is once again facing a shortfall of imports from ACP countries with preferential access and if imports don’t increase the EU Commission will be forced to intervene for a fourth time in the last 10 years. The options open to the Commission are to either reduce the duty on the import tender of raw sugar for refining or permitting the sale of over quota beet sugar that has been produced in the EU. Beet sowing in many EU countries was delayed due to wet weather, which will make a record sucrose yield in 2016/17 more difficult to achieve, despite a 9.5% increase in planted area. Very early estimates predict EU sugar production for 2016/17 at 16.9 ml tonnes, compared to 15.1 mln tonnes last year. The UK’s beet growers will receive £20.30 per tonne for their 2016/17 contract tonnage, £3.70 less than last year after British Sugar reduced contract tonnage by 20% for the 2015/16 campaign. For 2016/17 British Sugar will refine 1.1 mln tonnes in order to draw down existing stocks prior to the expiry of the EU quota system in October 2017. 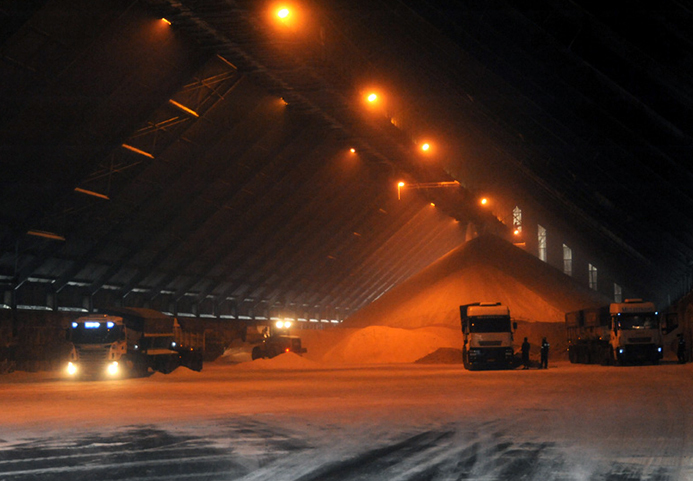 Increased production in Russia, Turkey and Ukraine is also predicated, estimated to produce 11.9 mln tonnes sugar. Last year Brazil’s harvest started in April and lasted until December, but was largely disrupted by rainfall for most of the harvest. For 2016 ideal weather conditions since March has allowed crushing to start early, with a prediction for a healthy and sizable crop. The month of May has been rainy after a dry April, but no significant disruption to the cane harvest has taken place. If the weather remains favourable a large sugar crop could put pressure on Brazil’s infrastructure to export, competing with larger grains and oilseeds output. Increasing prices and a positive sugar/ethanol parity will see millers diverting from ethanol to more sugar for 2016. Early estimates for 2016/17 could see sugar production at 35 mln tonnes. The tail end to the 2015/16 cane crop ended in April after dry weather conditions for the Thai harvest, produced 10.3 mln tonnes of sugar. The average rainfall remained around -18% for the five year average during the wet season. This has reduced the total recoverable sugar available for the 15/16 crop and could result in a lower output for 2016/17. Recent rains has allowed for the delayed planting to occur and has improved the yield potential for 16/17 crop, despite higher than average temperatures. Like Thailand the total recoverable sugar available from the Indian 2015/16 crop has reduced due to lower monsoon rainfall, resulting in almost 3 million tonne drop on the sugar crop to 24 mln tonnes of sugar produced. India’s internal sugar prices have risen due to falling stocks, their lowest for 3 years, which has discouraged millers from exporting their sugar. If this continues into the 2016/17 season, India will need to import sugar over the next 18 months to meet local demand as the world’s largest white sugar consumer. The dryness caused by El Niño in the Monsoon period is likely to result in reduced planting of cane which will affect the 2016/17 crop. The driest weather in a century has caused severe draught throughout Southern Africa resulting in decimated crops, which has been exacerbated by a lack of irrigation in the cane fields. South Africa will need to import sugar and exports will be severally limited after sugar output for 2015/16 was 1.5 mln tonnes, the lowest for 10 years. Swaziland despite having 90% irrigation has dams that are near empty, this will affect the 2016/17 crop which has just started its harvest, estimated to be similar to last year’s and Swaziland’s ability to supply the South African market. Malawi, Mozambique, Zambia and Zimbabwe are also predicting a reduction in crop output where crushing begins in the next few weeks. Production is expected to be down 20% on the 14/15 crop. Imports to the European Union are already being reduced in quantity. Dry weather continued during the ‘wet season’ with dams in Queensland running dangerously low of water. Many sugarcane farmers are unable to take advantage of their irrigation systems and face the predicament of having to plough up some the planted sugarcane, rains in the next 4 weeks will be crucial to save some of the cane crop. The Mexican harvest will produce around 6.0 mln tonnes of cane sugar, an increase over 2014/15 as a result of improved agricultural and industrial yields. The smaller US quota of 1.1 mln tonnes may result in additional stocks, which would reduce domestic prices. Mexico has started exporting more refined sugar direct to US consumers, putting pressure on US cane refiners. US sugar cane production in Florida is forecast to be down by 2%. China’s large strategic stock will be needed as a result of a second successive reduction in crop output. In the month of April China started buying a large amount of VHP raws from Brazil. There has been a reduction in planted cane area and a lack of investment in field renovation. Wet weather, in contrast to India and Thailand has also reduced cane development and resulted in poor crushing during the harvest. You are currently browsing the Ragus blog archives for May, 2016.